The perfect breathable sleeping pod for your baby – for on the go, co-sleeping or in your baby’s cot. SKU: N/A. 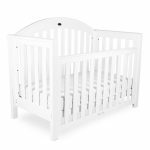 Categories: Breathe Eze™ Mattress, Nursery Furniture, Bassinets & Cradles, Mattresses. 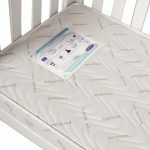 Tags: Babyhood, Bassinets & Cradles, Breathe Eze Mattress. The babyhood Breathe Eze™ Cosy Crib ( co sleeper ) is a must have for you and your baby. 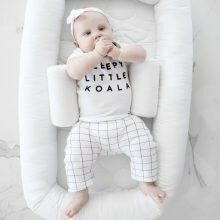 The Breathe Eze™ firm fiber construction provides your baby with a secure, safe and allergy resistant environment to cuddle and sleep. Used together with the babyhood Sleep Positioner, this sleep system will provide you with the confidence to also have a good night’s sleep. 1. 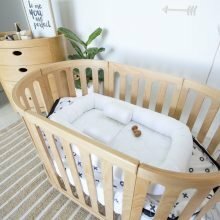 The removable machine washable mattress and noodle will you assist you to keep your baby’s sleep environment hygienic and clean with little effort and no dry cleaning. 2. This Australian Designed product is made to such strict quality control specifications that the mattress and noodle are designed and made to fit so snuggly to the cover that there is no excessive bedding. Do the pinch test today and see what we mean! Available in a variety of prints and plain colours including white, cream, lime gingham, turquoise gingham, pink gingham, purple gingham, yellow gingham, fairy and lime. The babyhood Sleep Positioner is designed to support your baby and to help prevent your baby from rolling over onto their tummies and sides.